I was first introduced to IncrediBuilds two years ago when I reviewed a Finding Dory book and 3D wood art set to review, which was a lot of fun. 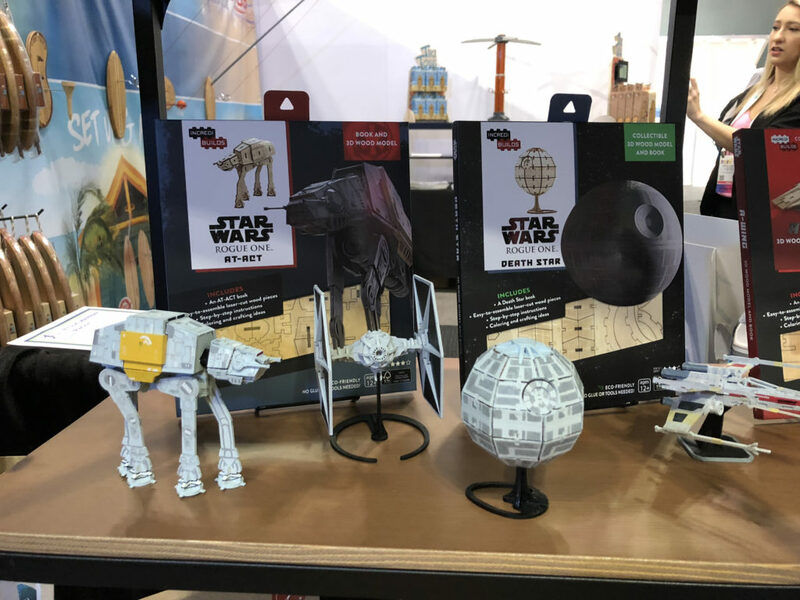 At Toy Fair this year, their booth caught my eyes first for all of the Star Wars sets on display. 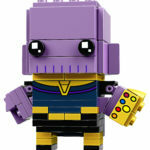 Then I noticed Marvel products, and then Disney. Even the non-Disney products they carried (Harry Potter!!!) 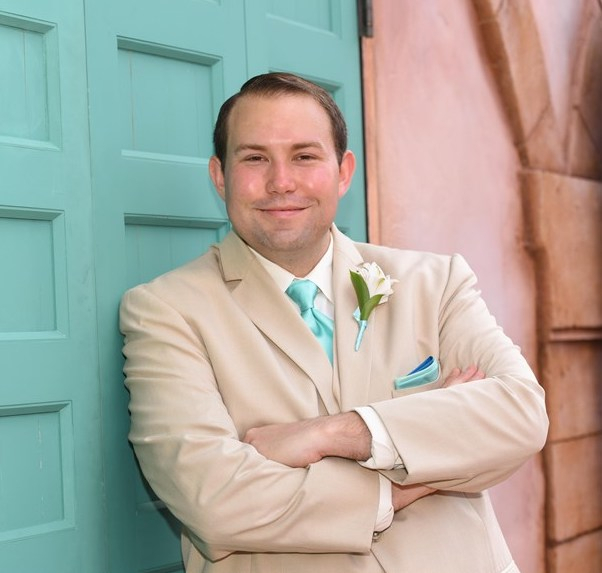 struck my fancy. 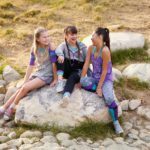 There are sets for different skill levels and anyone with artistic talent is going to love these new kits. The Rogue One AT-ACT and Death Star are both at the Advanced Level, paired with a book in addition to the wooden pieces to create the models. The Star Wars Tie Fighter and X-Wing are packaged similarly and best of all, each is only $16.99. You can pick up paints and brushes at your local craft store to enhance them and use your creativity. Droids like R2-D2 and BB-8 allow even more creativity. You can create your own custom droid, or paint them to look like a droid in the same model, such as BB-9E and R5-D4. 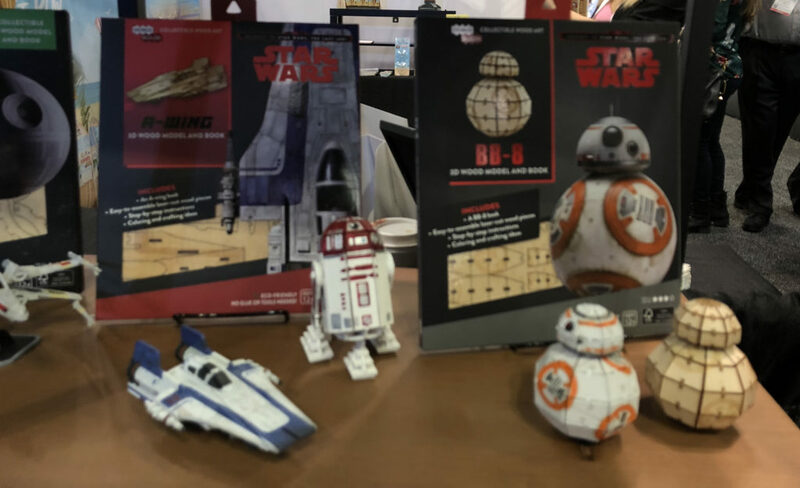 These droids and The Last Jedi A-Wing model are also intermediate skill levels, packaged with books, and only $16.99. 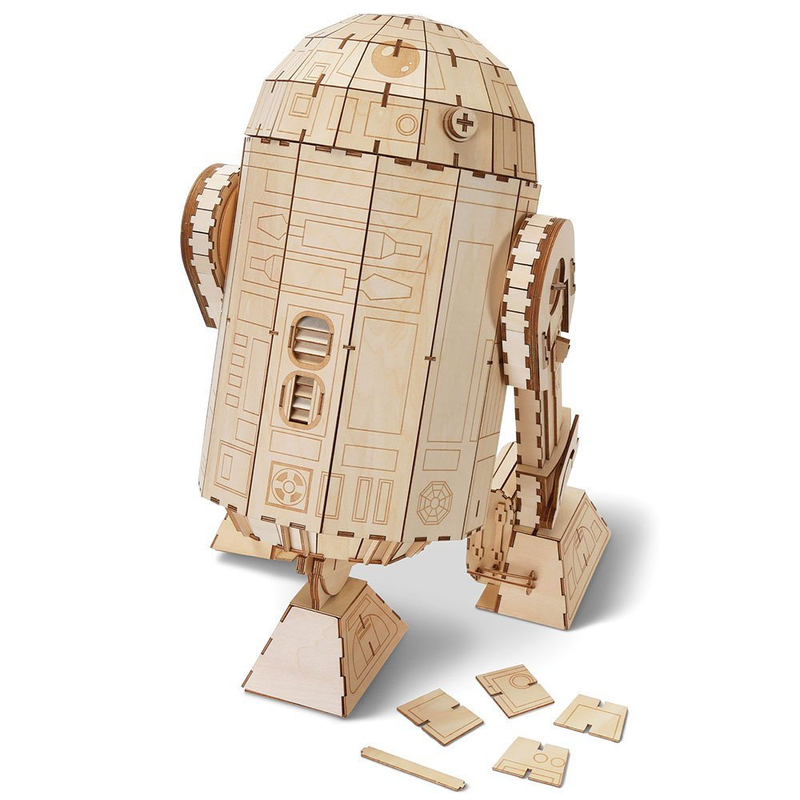 Adults should also be on the lookout for the R2-D2 Collector’s Edition, which is 18″ tall when completed and comes with a 48-page book in addition to the 297 pieces to build the figure. 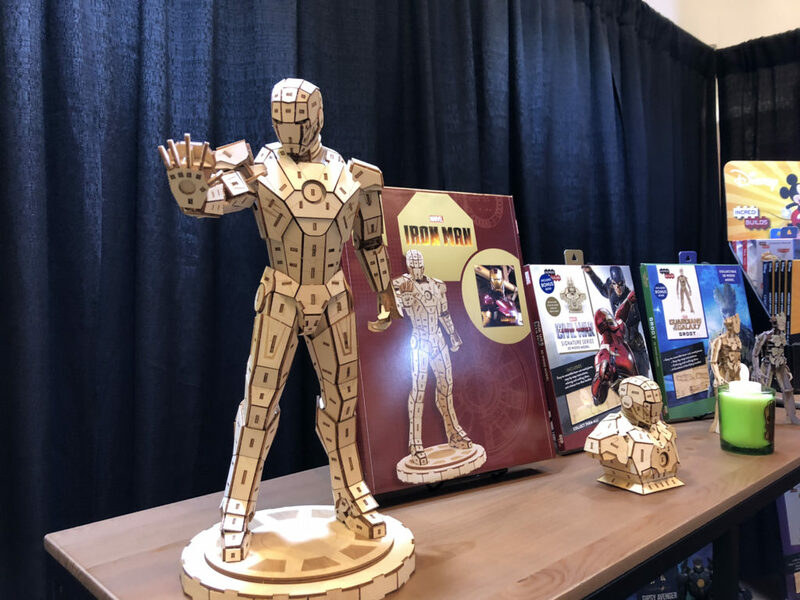 Marvel also has a premium Collector’s Edition themed to Iron Man with 454 pieces and a 32-page book. 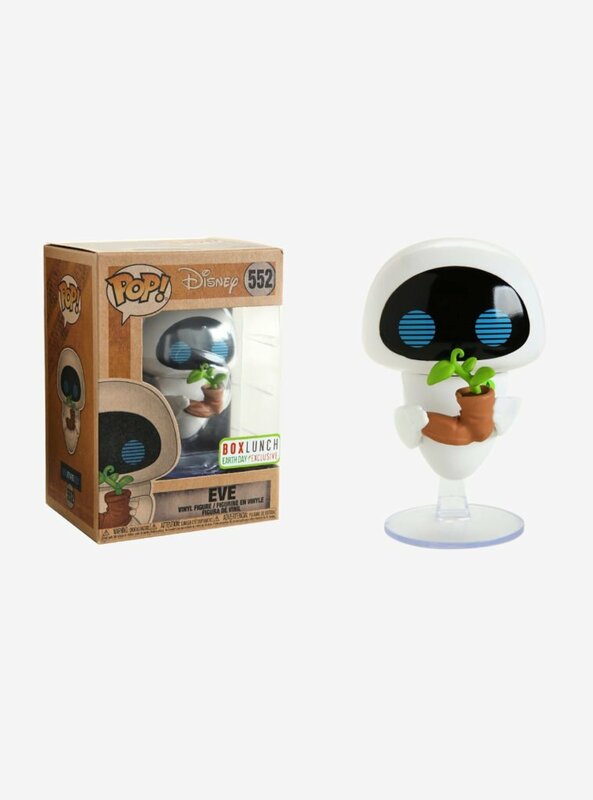 He will be available soon and the suggested price is $37.50. 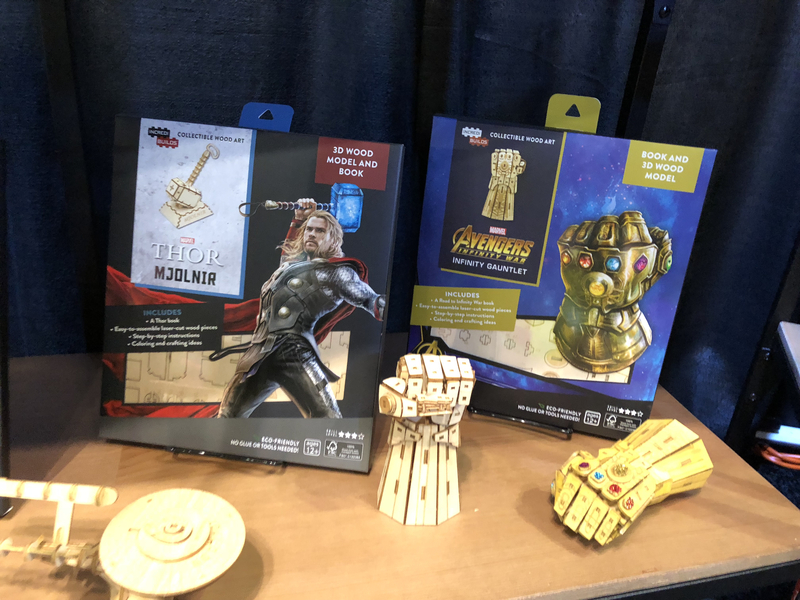 In the standard size, IncrediBuilds will be releasing the Infinity Gauntlet from the upcoming film, Avengers: Infinity War. Thor’s iconic hammer, Mjolnir, is available now. 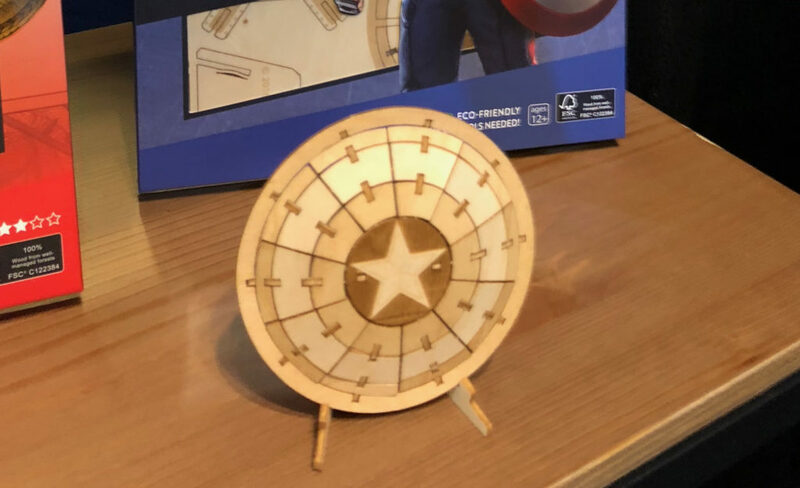 Another iconic character prop is Captain America’s shield with a 32 page book. 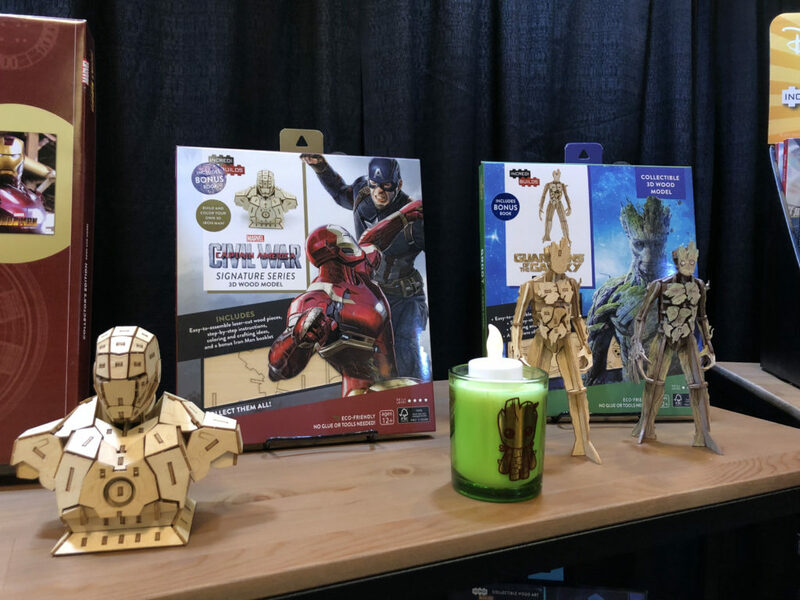 Fans looking for figures in the smaller series can build a bust of Iron Man and a full-figure adult Groot. 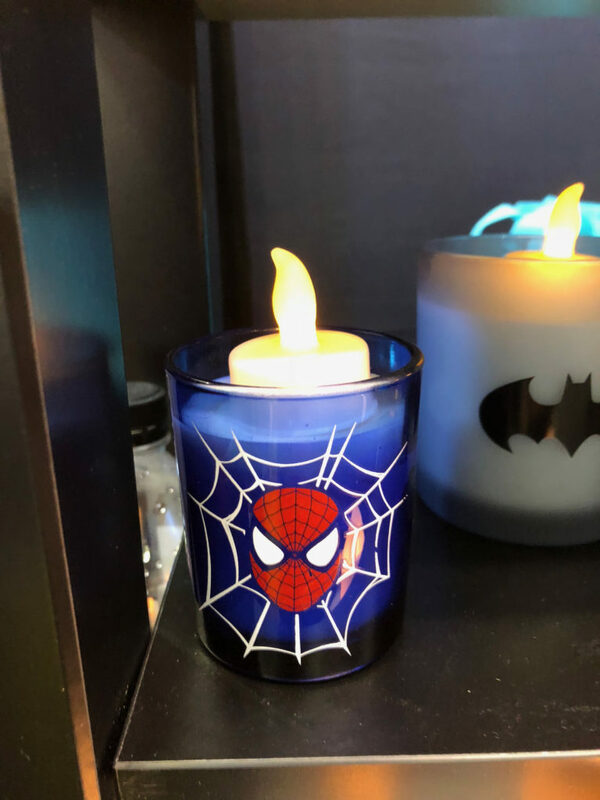 The candle that you see in the picture is a mock-up, Insight Editions who makes IncrediBuilds is getting into the candle business, primarily with Harry Potter house crests, but they had two Marvel mock-ups on display. The majority of their candles are unscented, although that could change. 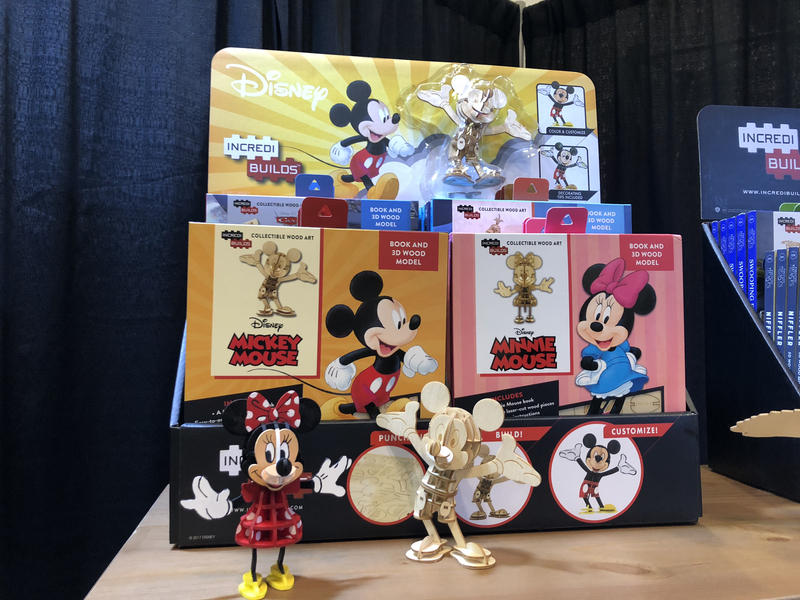 New to the collection are Mickey and Minnie Mouse, just in time for the big cheese’s 90th anniversary! Both come with 32-page books and lots of ability to customize. You could even make them black & white as a throwback to their original debut. Both are at the intermediate skill level. Pay no attention to the out of place Minion in the picture, he’s clearly either lost of up to no good. 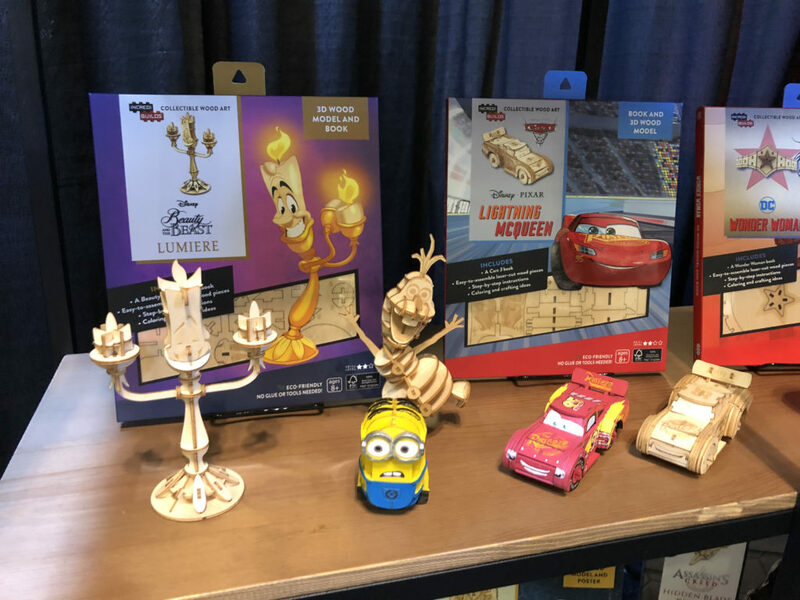 Lumiere from Beauty and the Beast, Olaf from Frozen, and Lightning McQueen from Cars are the newest characters to join the line. 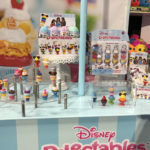 IncrediBuilds offers fun hobby collectables for kids and adults from Disney’s biggest brands. 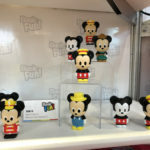 With no sign of slowing down for both Disney and IncrediBuilds, I can’t wait to see what the future holds at next year’s Toy Fair. 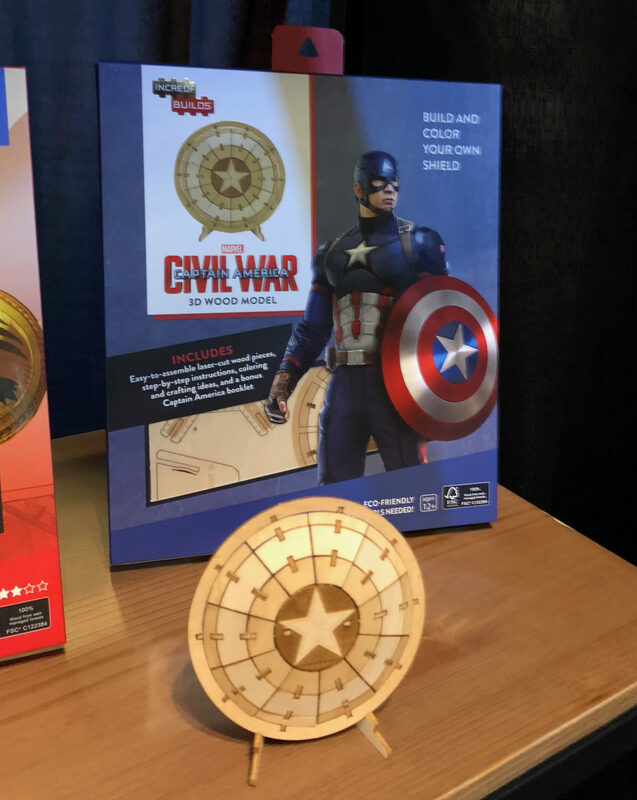 Click here to see more Disney, Star Wars, and Marvel toys from Toy Fair 2018.